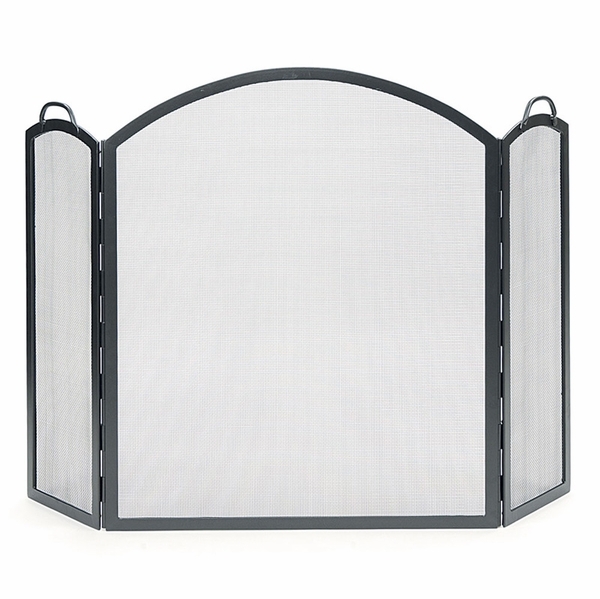 A large version of our three-fold screen reigns with simplicity and elegance. Handcrafted handles on the side panels allow for ease of positioning. This high quality handcrafted fireplace screen is coated in a graphite finish for polish and panache. The side panels allow one to open the screen partially to stoke the fire without adjusting the entire screen. Elevate your living room or outdoor patio with a touch of elegance all the while protecting your surroundings from stray sparks. Minuteman fireplace accessories are crafted in the finest wrought iron available. Minuteman stands behind their products. You will not find a better made screen anywhere. How wide is the screen if it's laying flat? It is 58 inches wide.